No digital marketing strategy is truly complete without having effective and efficient search campaigns in place. And there are few better ways to manage your search campaigns than with DoubleClick Search. With a DashThis DoubleClick Search dashboard, you can see all your DoubleClick data conjointly with the rest of your PPC and analytics data; give yourself the ability to see the entirety of your web presence in one streamlined dashboard. Create your DoubleClick Search dashboard today! This historic widget shows how your website typically ranks against other pages. This historic widget shows the percentage of people that visit your website after seeing it appear in the search results. This is calculated by dividing the total number of clicks by the number of impressions, and multiplying the result by 100. This list widget shows each of your campaigns in order of most number of clicks. This historic widget shows the total number of times that your content was shown to your target audience. Want to see all our DoubleClick Search preset widgets? This is the amount you spent on clicks and impressions for your ad. This is the total number of times people saw your ad. This shows the position in which your ad typically ranks against other ads. 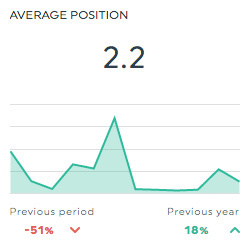 This percentage shows how often people go to your website because they saw your ad. It is calculated by dividing the number of clicks by the number of impressions, and multiplying the result by 100. This is the total dollar value associated to all conversions, which is calculated by multiplying the value per conversion by the total number of conversions. The value per conversion is determined by you when you define your conversion; this is the dollar amount that you consider each conversion is worth to you. 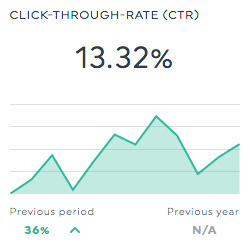 This shows the average cost of each click on your ad, which is calculated by dividing the total spent by the total number of clicks. 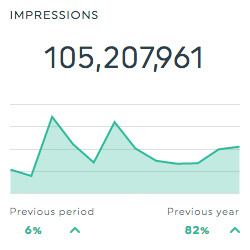 This shows the average cost for 1000 impressions. This is the amount of revenue generated for every dollar spent. It is calculated by subtracting the ad cost from the total revenue. This dimension allows you to isolate your data according to campaign. Want to see all our DoubleClick Search metrics, segments, & dimensions? How do I create a dashboard using the DoubleClick Search API?